Meet Nizam Najjar and Haj Siddiq. One is a Libyan-Norwegian filmmaker and the other a larger than life Libyan rebel leader. This doc rides shotgun on their journey through the revolution. As Nizam is forced to question how his dreams of the future differ to those of the rebels Haj Siddiq must face tough post-war realities. 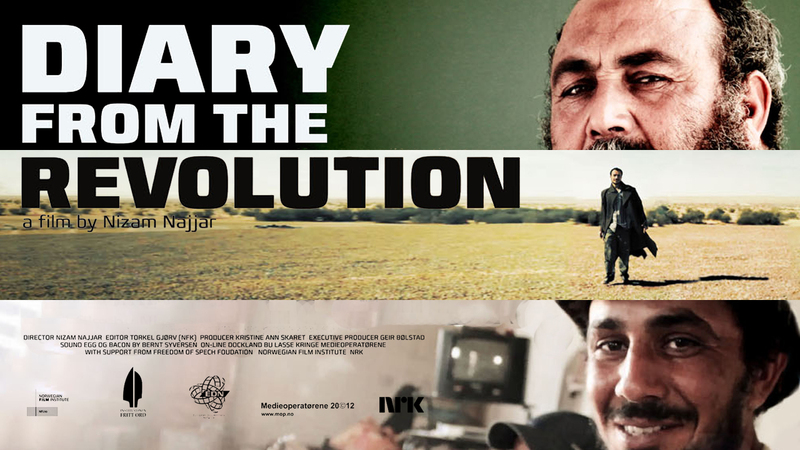 This film paints a fascinating picture of the revolution and the challenges faced by a democratic Libya. Haj Siddiq's brigade was formed from relatives and employees of his metal workshop, after its premises had been occupied and robbed by Gaddafi's soldiers. Trained as mechanics, the militia members quickly learn to operate weapons, but their DIY methods expose them as terrifyingly fragile in confrontation with professional armed forces. 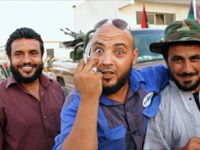 They were the epitome of the Libyan freedom fighters. Returning to Libya and desparate to be as close to the revolution as possible, Nizam joined the militia and became a part of the family. "I knew that I needed to gain Haj Siddiq's acceptance if I wanted to stay in the militia." The days of conflict are hard days on the road with many casualties, but are also days of hope as the rebels, with the help of NATO intervention, overcome Gaddafi's forces. "We killed him. And we have made an end of this story. Yeah, we have made a good end to that story", concludes Haj Siddiq, the leader of the rebel group in Nasrati. Wandering freely in the setting sun over a recent battlefield, Haj Siddiq sees the killing of Muammar Gaddafi as a happy ending to the revolution. But with the country overflowing with arms, distrust towards the new government and economic instability, the death of Gaddafi is far from the end of the story. And as Nizam becomes closer to the group and Haj, he must revise his understanding of Libya and accept it as a deeply patriarchal society based on tribal and family ties. While conflicting attitudes to gender issues and morality begin to surface, the relationship with Haj Siddiq becomes strained over his torture of a former Gaddafi soldier. The first free elections in living memory don't offer an easy consolation. While some choose to boycott it, others find themselves deeply disillusioned with the revolution. "The winners of this war are the ones who stayed at home" says one former rebel. "It's all a lie... We replaced one Gaddafi with a hundred Gaddafis! A million Gaddafis!" Haj and his brother fall either side of the divide and when Haj says that he has voted, his brother flies into a rage. Amid the celebrations of a free Libya, it's a strong reminder of how much work remains to forge a new democracy. In this gripping film, post-revolutionary change can be felt in the lively political discussions and freely expressed criticisms of the militia group. Nizam leaves Libya as a state culturally and politically distant from the democratic future he had hoped for it, but also following his reconciliation with Haj, with a new found sense of hope. "The removal of Gaddafi had opened up a new landscape and now it is up to our generation to build the new democracy." Having grown up in Syria, Libya and Sudan, Nizam Najjar moved to Norway in 2002 and is now an Oslo-based filmmaker. He attained a degree in directing from Lillehammer University College and specialized in documentary filmmaking at Volda University College. Diary from the Revolution is his first film. When the revolution in Libya began in 2011, I wanted to go back and be a part of it. I wanted to remember what it was like to be a Libyan again, because Iʼd been away for ten years. The atmosphere in Benghazi was overwhelming. Gaddafi had raised the price of the liberation so high, and I could not remain a neutral, objective observer. I fell in love with the cause. It was a genuine, moving struggle for freedom. I wanted to portray a group of civilians-turned-revolutionaries and tell a more nuanced story than what was emerging in the news. Getting close to the Al-Gabra militia in Misrata, I was able to ask difficult questions, raise issues, demand answers - something that a journalist just passing through would not have been able to do. I was interested to learn that the plans for a Libya post Gaddafi were vague, at best. So I stayed on to document the developments following the revolution. 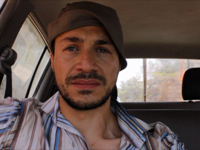 In total, I made seven trips to Libya from February 2011 to July 2012, and I filmed over 200 hours of material. I wanted to keep the camerawork intuitive and informal, and kept recording my personal reflections on the events to give the audience a unique perspective on the revolution and what the future holds for ordinary Libyans.